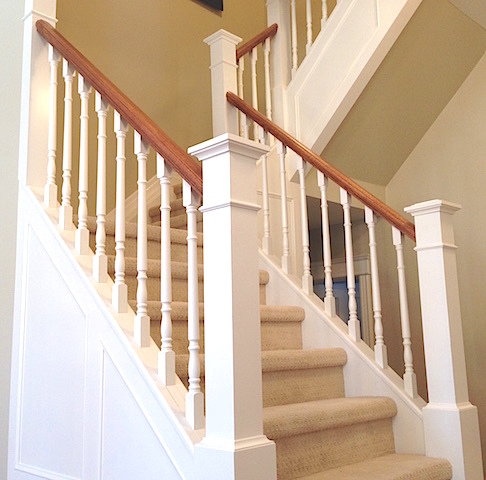 Our staircase renovation started with a dream of wanting a traditional looking white staircase with wood accents. We didn’t like the existing stair design with carpet wrapping around the ends of the steps, as it did not have the character we were looking for. 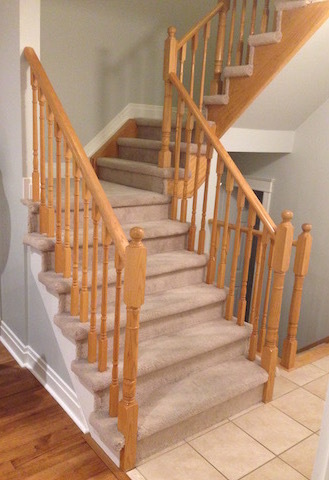 In order to be able to have carpeted stairs and get rid of the old wrapped around look, we decided to close in the stair stringers, make larger newel posts, install new spindles and a new handrail.